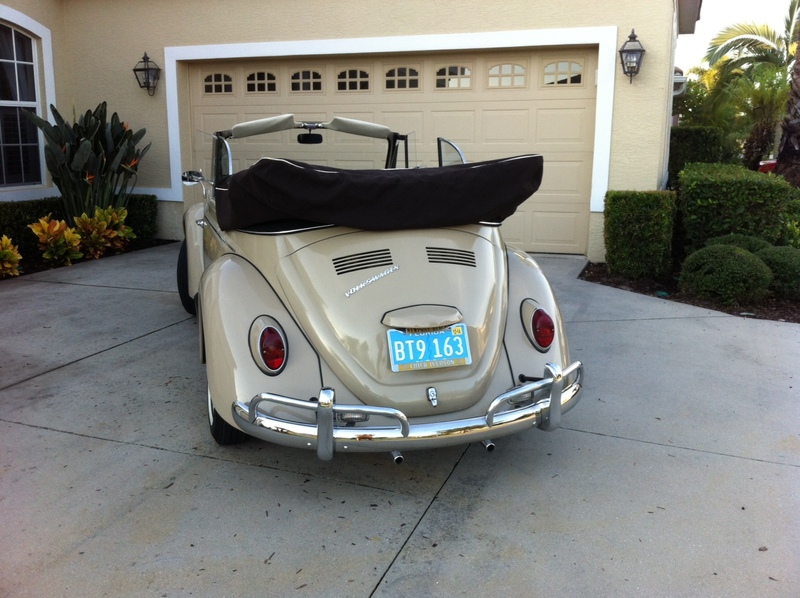 L620 Savanna Beige ’67 Vert with 19,500 miles. What more do I need to say? 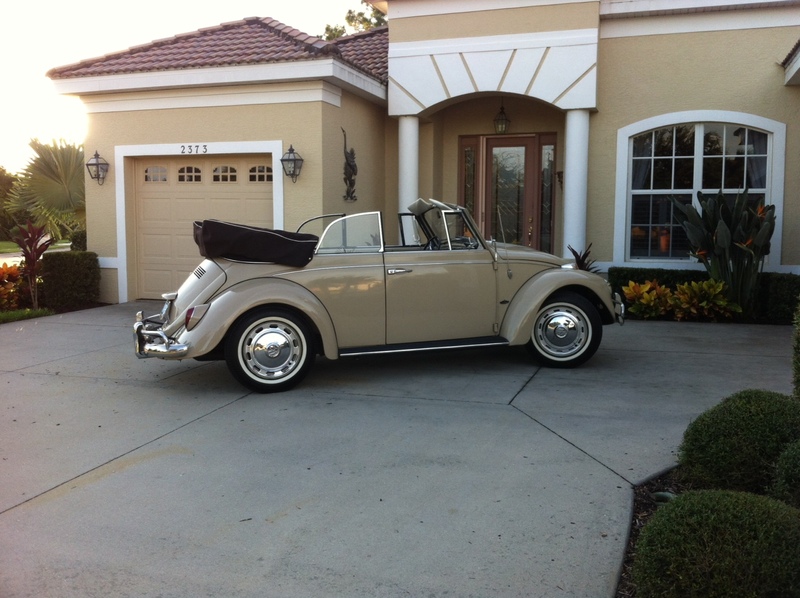 Just listed here at 1967beetle.com for the world to see. Who’s making an offer? 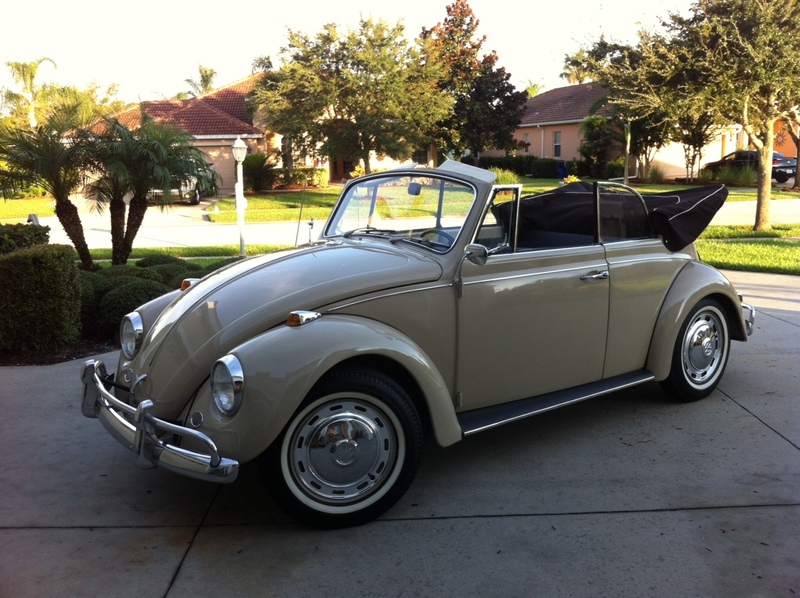 “1967 VW Beetle with 19,500 original miles. Savannah Beige with black leatherette interior. Originally from Arizona. Original paint, except front left fender which was crunched years ago and replaced. Paint is not perfect but reflects the originality. Recent mechanical check to insure quality. Tires are almost new. 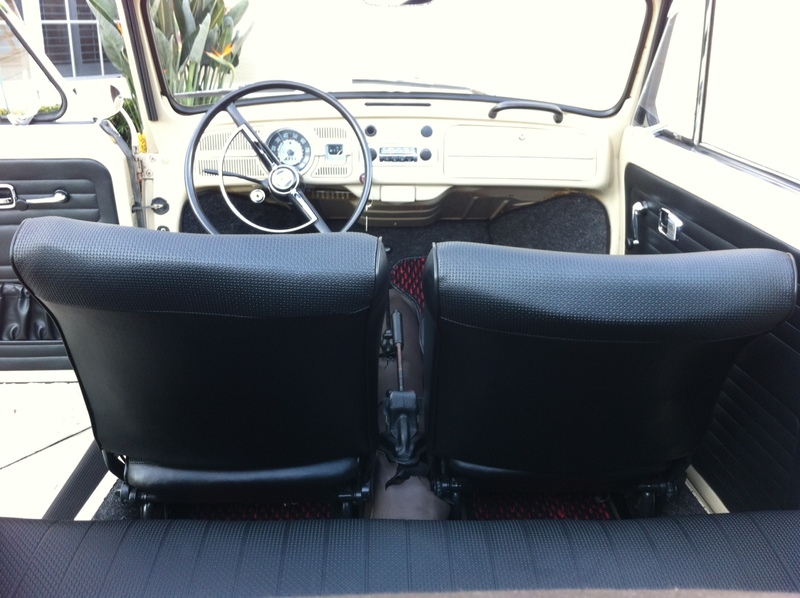 Options include a Blaupunkt 3 band radio which works perfectly, coco mats, Wolfsburg front lap seatbelts, convertible top cover, European taillights (originals available). Top is in showroom condition. 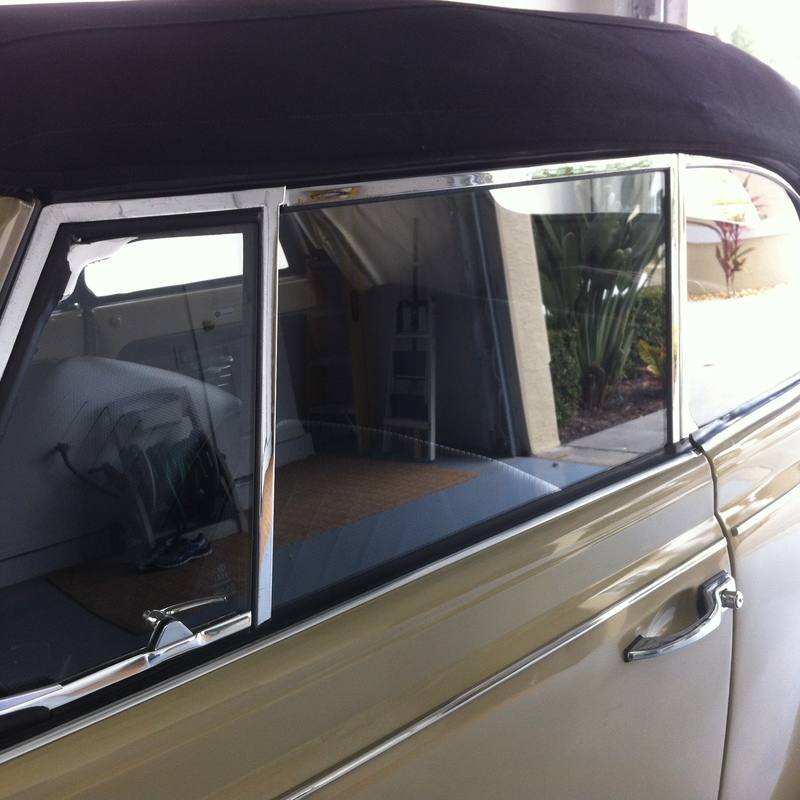 All original glass and rubber all around in 9 out of 10 condition. Good looking bug. At this selling price, I would expect to see all the proper heater/fresh air hose clamps, fuel pump, and coil. Looks like the wrong carb too. Couple hundred bucks in investment to fix these items could save the seller some haggling. Nice to see all the tins and seals in place! Good comments. Let’s keep it PG on here, as this is a paid classified listing. Any good, valid points are fine. A real beauty! I think leaving a few items for the next owner to scrounge around at swap meets, internet (Lane Russell), etc for those perfect Original German parts makes it even better. So close to all original that it would be a fun project that is already so presentable and not needing much. I need a bigger garage and a higher paying job! Don’t fight it, as there is no cure for this sickness. Nice car! I can’t criticize the price since there is always that one person who just has to have it! Wish you luck on your sale! Very nice. It’s pretty much a ‘vert version of my VW. Dig it! It’s a very pretty vert but the mileage seems to not match with the engine compartment. 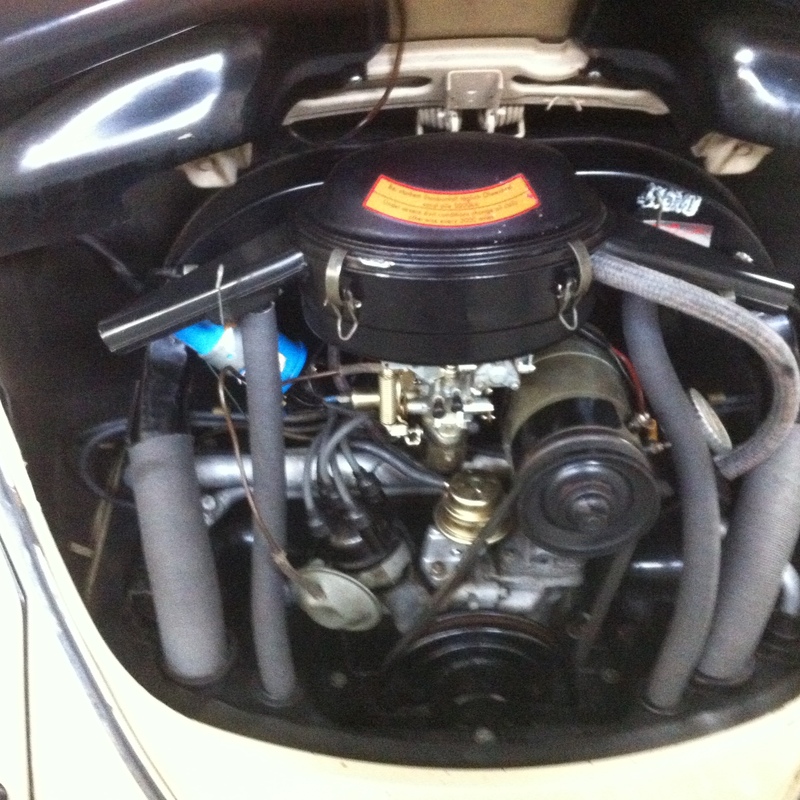 Why would a 19k original mileage 67 have a new (and wrong) carburetor, the wrong generator (should be plug in style), wrong decal on the air cleaner, missing all the original shroud hose clamps, etc? I get the original fuel pump could have dried up and they chose to not rebuild it. I don’t see why those other items would have needed to be changed at only 19k original miles? Ahhhhh, Wally2’s pretty sister. Best wishes to all our ’67 VW family for a joyous holiday season which includes a quick transaction for the seller and something wonderful under the tree for the buyer! I agree with Bill, but for this asking price, which is within reason, surely the owner has documentation to support the mileage claim?? Unfortunately, there is no documentation to support the mileage, but the car went through the Barrett-Jackson auction a few years back and the mileage was purported to be accurate. I can only assume that because the car sat for a few years that those items just needed replacement. My mechanic who really knows bugs believes the mileage to be accurate. I had the sticker in a drawer and thought it would look cool.It is one of the nicest ’67 Verts out there! With the prices of ’67s rising like they are this almost seems reasonable. 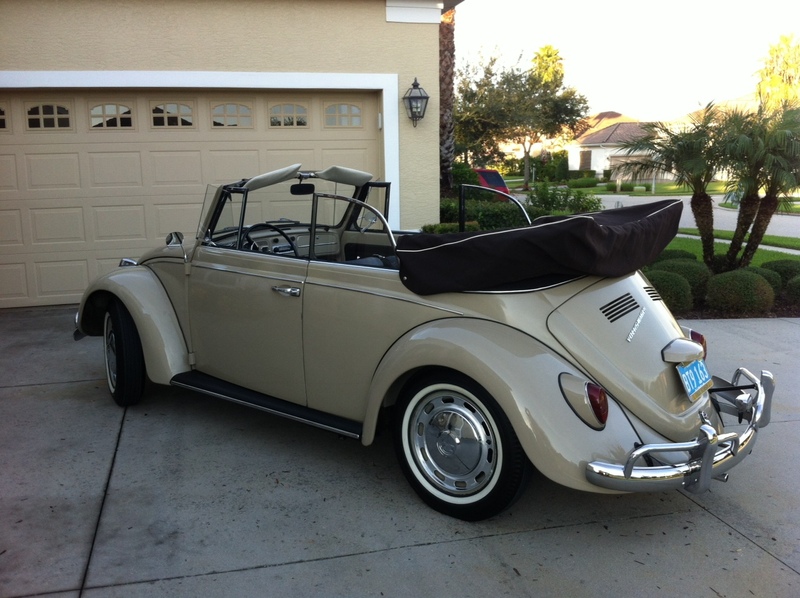 However I can’t even afford an old standard beetle POS, let alone something in good condition. A real BEAUTY, David. As I’ve said before, these cars sell themselves. This is a rare find for sure. Good luck, it’s posted in the right place. Merry Christmas 1967beetle.com. Thank you for sharing these great cars with us. BULLETIN: Price reduced to $23,000 US. 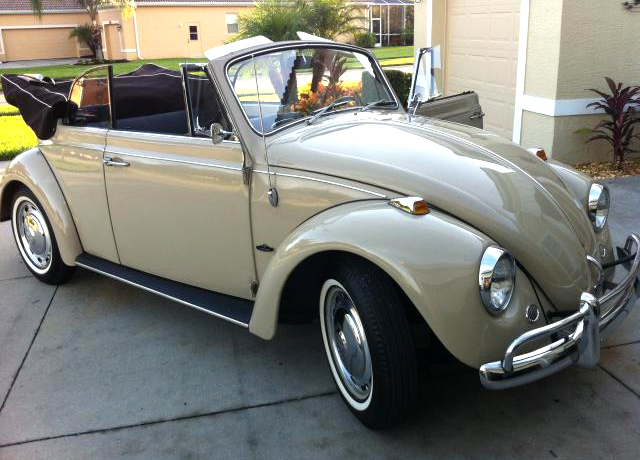 You will not find a better ’67 Vert at this price! !